SOUTH ORANGE COUNTY, CA. - HIGH NET PROFIT PRACTICE FOR SALE! SOUTH ORANGE COUNTY, CA – HIGH NET PROFIT PRACTICE! 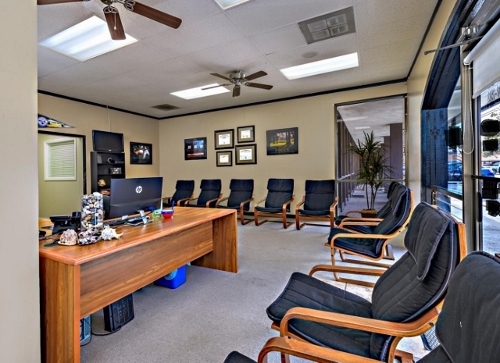 This well - established diversified practice is located right off of 5 Freeway, very close to a busy toll road and train depot for easy commutes. Only 15 short minutes away from the beach. New housing/living development is scheduled to open in the next few months, with more development scheduled. HUGE potential for new patient base. This doctor sees, on average, 110 patient visits per week, adjusting 23 hours per week. Collections $311K+ with high net profit of 64% ($199K+). Closed Fridays for long 3-day weekends, EVERY WEEK! Fully equipped, well-appointed 1,700 square foot clinic with 2 treatment rooms. It's time to jump start your motivation, CALL TODAY, for financial and statistical information!